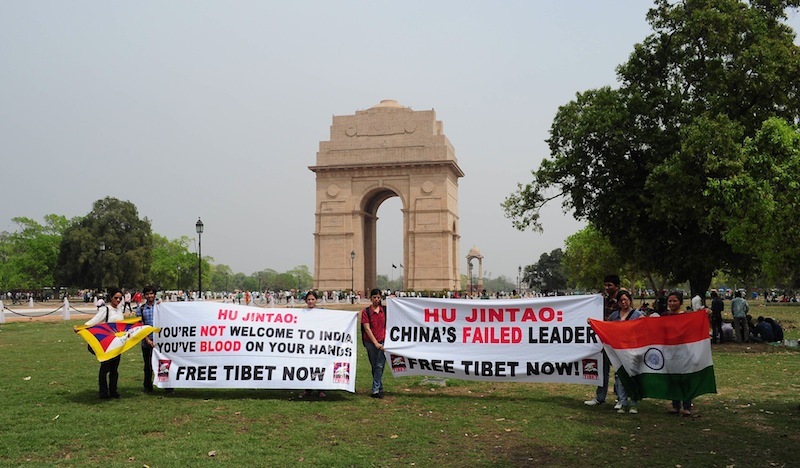 I would like to share how Tibetans and Supporters shamed Hu Jintao on his recent visit to India on BRICS conference. 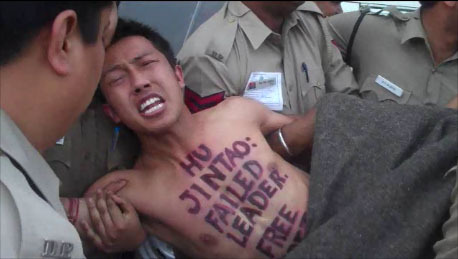 Hu Jintao faces huge protest by Tibetans where ever he went and the protest leads to detention of more than 350 tibetans in Tihar and small police stations for three days. 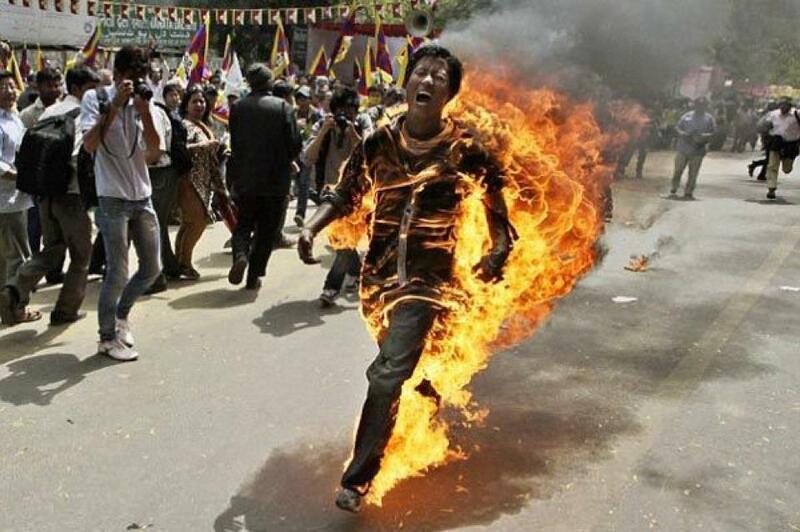 On 26th March Pawo Jamphel Yeshi self immolated during Tibetan Youth Congress mass protest at Jantar Mantar, Delhi to protest Hu Jintao visit and high light on going crisis in Tibet. 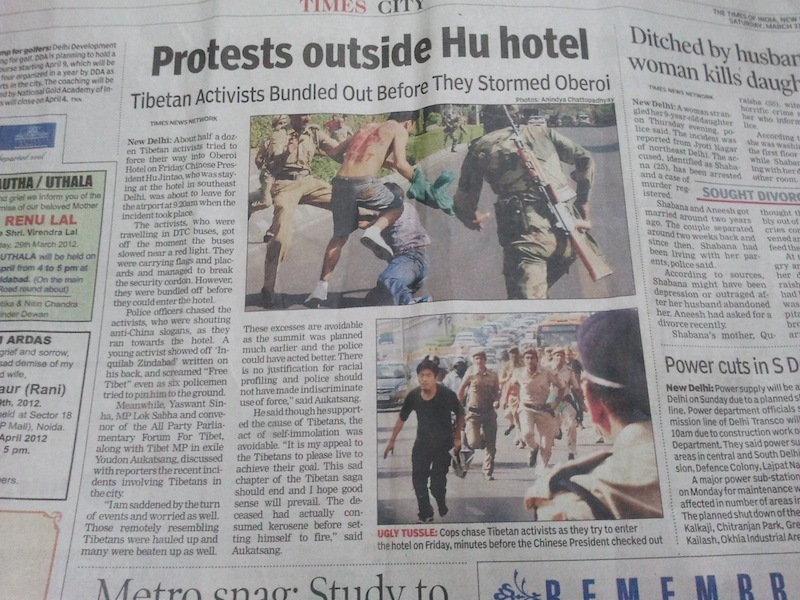 30th March: Tibet Activists protest stormed Oberio hotel just before 30 minutes Hu Jintao Leaves India (activist saw Chinese delegates looking outside from hotel and taking video. On this Lhakar I had an opportunity to take part in a Panel Discussion on ‘Foreign policy: Principles or pragmatism? 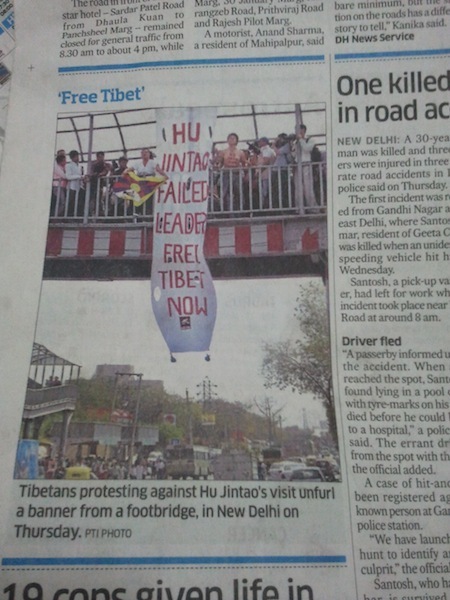 by NDTV National News Channel.